The busy timetables operated by airlines do not allow for grounded aircraft due to poor weather conditions, so efficient defrosting and de-icing of aeroplanes to keep to schedule is imperative. Large quantities of the de-icing agent need to be on hand at the airport to allow instantaneous action for when a drop in temperature occurs. 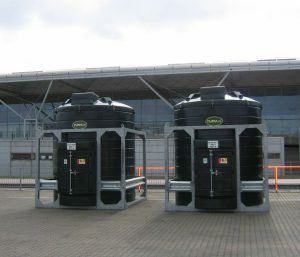 The Tuffa Tanks construction minimises the risk of spillage and leaks, which in the busy and hazardous environment of an airport is essential. 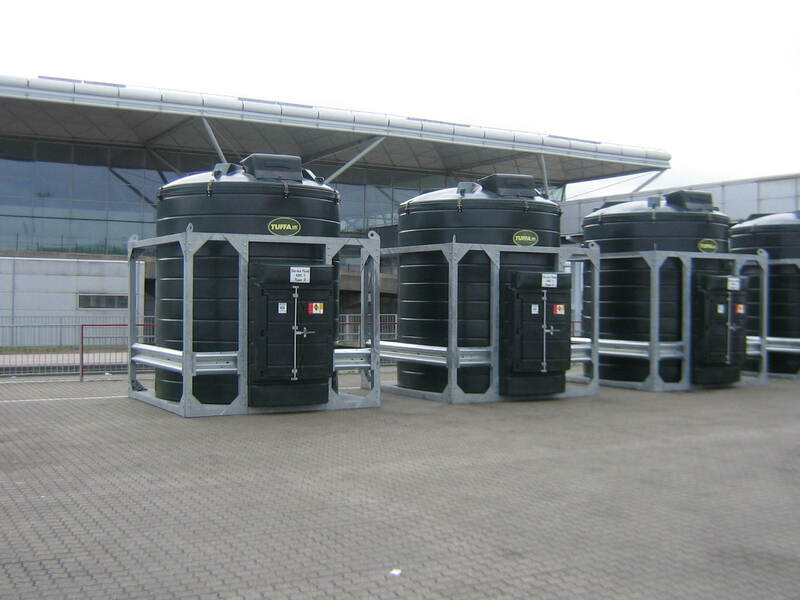 Each of these low maintenance storage tanks feature overfill prevention alarms, visual gauges, emergency shut off valves, special Kamlock connections and also the Armco Protection Barrier to minimise the risk of damage caused by impact. It was after recommendations from other operators and Tuffa’s willingness to go the extra mile to satisfy the client’s bespoke needs, that we were chosen as suppliers. A leading airline engineering spokesman said “The sales team at TUFFA UK were very helpful and attentive and their engineering expertise was very impressive. They produced a very competitive and timely solution to our needs.” He also expressed that working with Tuffa had been a positive experience.